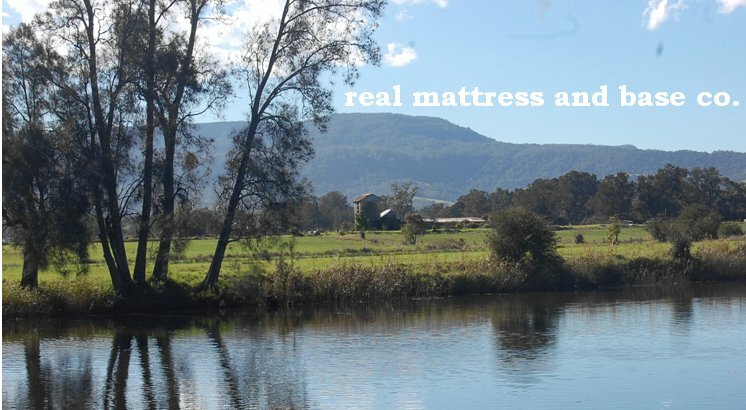 The History of The Real Mattress and Base Co.
Eric Marr was born at Byron Bay in NSW on the 14th of June, 1911. He attended the local Convent School until he was 12, then his family sold their farm and moved down south to the suburbs of Sydney. After six months of holidays on the beaches of Manly and a temporary move to Haberfield, the Marr family settled down in Enfield. By this time Eric had reached the age of 15, and wished to apply for a job as a mattress maker apprentice. He was underage, so he increased his age and said he was 16. The apprenticeship was at Burton & Wheelers, a bedding factory in Sussex St. Sydney. Eileen was born in Paddington on the 27th of September, 1910. At the age of 14 she left her school, Orange Grove in Annandale, and became a Manchester sewer: hemming sheets and constructing pillowslips. She was sacked when she was caught making dolls clothing for her younger sister. Eileen then applied and received the job of a machinist at Burton & Wheelers. She was then 15. Eileen and Eric met in 1927 one day at work when Eric found that the mattress case sewn by Eileen was incorrect. He "called her up" to where the mattresses were constructed and it was apparently love at first sight. Eileen says that Eric “went home to his parents that night and told them he had met his wife”. At work, Eric would call up Eileen supposedly to re-sew a case, just so they had a chance to meet as often as possible. It was during one of these meetings that Eric proposed. Eileen consented; she was 18, he was 17. They were wed at St. Aidens, Annandale in Balmain on the 23rd of May, 1929. Their first child, Betty Marr, was born that same year on the 28th of December. middle name. Eric and Eileen moved to Burwood and Eric was re-employed in 1933 by Burton & Wheelers. He stayed with them for 9 more years. Eric joined the Army and became a bombardier unit in 1942. Corporal Marr, as he was known, was stationed at Belmore, Homebush and at Townsville in Queensland. He stayed in the Army until 1945, when World War 2 ended. Eric then returned yet again to work at Burton & Wheelers. Terrance Marr was born on the 8th of June, 1946. He was the last of the Marr children. Two years after his birth, his father quit his job at Bruton & Wheelers as he was unhappy with the changes made while he had spent time in the Army. Eric transferred to Nettletons, another bedding company in Surry Hills. It was there he met Frank Cater, whom he befriended and eventually introduced to his wife and daughter Betty. Frank and Betty married in 1949. When Nettletons closed in the 50’s, Eric applied for, and received, a job at Anthony Hordens in Sydney. He was the maker of a special mattress for Mrs Horden that contained 1500 singular springs, and Eileen says that she (Mrs Horden) described it as “just beautiful”. He continued to work there until 3 years later he became a warehouse caretaker in York St. Sydney. After the death of their second child Vince in 1957, he took up a job at a Bonds factory as a packager. He retired in 1962, but continued to help his son-in-law in his personal business. The Marrs moved to Enfield in 1970, then to Shoalhaven Heads in 1981. Eric Marr died in 1986 and their 3rd child Terry died two years afterwards in 1988. Eileen Marr and her only remaining child Betty still live in Shoalhaven Heads. Her present age is 87. Frank Cater was born on the 11th of July, 1926, at 23 Rawson St., Enfield in Sydney. He was the youngest of three: he had a brother named Jack and a sister named Lorna. After he left school at the age of 13, he job hopped for five years, working at first in a shoe factory, then a biscuit factory, then as a pastry cooks assistant and finally at a wool mill in Marrickville. In the year 1944, Frank left his current job to join the Air Force. He was stationed at Sydney, Cootamundra, Shepparton, Sydney again (this time at Croydon Girls School), Narramine and finally Brisbane until his discharge on the 14th of May, 1946. Frank was required to complete a Post War Training Scheme.He applied for a mattress making course at Nettletons in Surry Hills, but was rejected. To keep the pay cheques consistent, he worked for six months in a Dunlop factory, until at last he was accepted by Nettletons. It was there that he met Eric Marr, and consequently his future bride Betty. Eileen Betty Marr, known only by her middle name, was born on the 28/12/29. As a child she moved with her parents from her birth town Annandale to Short Street in Enfield, and then to Shaftsbury Road in Burwood by the time she was five. Betty attended both the local primary and high schools in Burwood. When she was 16 years of age she completed her Intermediate Certificate and left school in 1945. From there she was employed as a sales assistant at McDowell's department store in George Street, then at Woolworth's in Burwood and finally at a factory in FiveDock. She was still working there up until she met Frank. After completing his post war reconstruction training as a mattress maker at Nettletons Mattress Factory in early 1947, Frank stayed on and was taught the trade by Eric Marr, a leading spring hand. He was introduced to Betty, and two years later they were married at St. Paul's Church in Burwood, 1949. Six months after the wedding of Frank and Betty, Eric encouraged his new son-in-law to go into the business himself, something that he had always wished to do but “never had the guts”. Frank and Betty moved to Plenkivil Street in Bondi, and the business started. They only had 28 pounds (which is about $56), but Betty obtained a job at Bardens Shoe factory to help with expenses. In 1951 their first child Geoffrey Alan Cater was born. When the move was made to Oxford Street in Burwood 2 years later, Frank was canvassing from Bondi to Coogee, visiting mainly schools and convents, repairing and remaking their old horsehair mattresses. His work from one convent enabled him to do work for most of the Sisters of Mercy in Sydney, St. Joseph's Boys School, Kings School and Methodist Ladies College. By this time he had bought an old “A”model Ford from his father-in-law for 100 pounds, and was doing all his deliveries and errands in it. Late in 1953, David, the second of the Cater children, was born. Up until his birth, Betty had sewed the cases for Franks mattresses and accounted for him. Months before and after the births of all her children, she ceased sewing but continued the book work. The Marrs and the Caters worked together, with Eric cutting the cases, Eileen and Betty sewing them, and Frank filling and finishing them. The sewing was done on a treadle machine that eventually wore a small electric motor. In 1955 land was bought in Enfield, but it wasn't until 1957 that a house, financed by Franks war service money, was built. The new site gave way to a new name: Resthaven Bedding. A year later, Betty gave birth to her first girl and named her Diane. There was also more new work as spring bases became more and more desirable. for the closing of mattresses that eliminated side stitching. On December the 24th the year afterwards, a fire ravaged the contents of the shop, but a short while later it was again fully functioning. Betty, with her newly obtained drivers license, began to help with the deliveries in 1966. She completely stopped sewing and concentrated on her book-keeping also. Holidays taken at Shoalhaven Heads were so agreeable that a block of land in Golden Hill Avenue was purchased in 1967 and by Christmas Eric, Frank and Geoff had constructed a small fibro holiday house. In 1970 Frank and Betty purchased a shop in the next block at 158 Liverpool road. Two years later their second son David returned to join them and their business full time in 1972. By this time caravan bedding had seen foam replace spring cushions and an expanding market in county NSW, serviced by two agents. This continuing prosperity encouraged Frank and Betty to invest in a large block of land in Davenport Road, Shoalhaven Heads in 1973. By 1975 a brick building was erected on the land for the future manufacturing of mattresses. After a period of working part time with the business, Geoff joined his parents and his brother full time by 1978. David began to work part time again. In 1979 the business, with the encouragement of Shoalhaven City Council, relocated to Lot 2 Quinns Lane in Nowra and Frank, Betty, Geoff and Lynette moved down to Shoalhaven Heads. Lynette attended Bomaderry High School. The business, despite the move, continued to do well. It was scaled down to the caravan industry with more work in special sizes and shapes. Several contracts with the Australian Navy came about and the first antique reproduction work was done for the Elizabeth Farm situated in Parramatta. Due to the 1980’s recession, relocation difficulties and a highly competitive local market, the business found itself relying much more on specialised work, particularly in Sydney from interior decorators and antique dealers. It was soon decided to rescale the business to suit this market and in 1984 the factory was moved to the smaller premises at the rear of 39 Davenport Road Shoalhaven Heads. Two years after settling in, Frank was forced to retire due to ill health and let his son Geoff take over the company in 1986. Frank and Betty Cater still live in Davenport Road in Shoalhaven Heads, and the factory is still used for the hand manufacturing of Real Bed mattresses. Geoff Cater was born in Sydney, 1951. His parents were Frank and Betty Cater. As a child he lived first at Bondi, then moved to Burwood in 1953, then to Enfield in 1957. He attended the local primary school there up until 1964, when he went onto a high school in South Strathfield. Geoff completed his High School Certificate in 1969 and progressed to University which he attended in Sydney in 1970. After 4 years he completed a Bachelor of Arts Diploma of Education. Ever since he had gone to primary school until he finished University he had worked part time in his father Franks mattress making business, Resthaven Bedding. In 1976 he joined full time, the shop being situated at 158 Liverpool Road, Enfield. The Birth of the Real Mattresses & Base Co. The Caters moved to Shoalhaven Heads in 1979 and continued in the hand made manufacturing of mattresses in a small brick building that was erected behind Frank and Betty's house in Davenport Road. Ill health caused Frank to retire in 1986, and Geoff took over the company as his own. He changed (or added) the name Real Beds. He and his partner Lesley Speed gave birth to two children: Elizabeth in 1984, and James Merric in 1991. A typical bed of 1600 in its simplest form was a timber frame with rope or leather supports. The mattress was a “bag” of soft filling which was most commonly straw and sometimes wool that was covered in plain, cheap fabric. The more expensive ones of this period had much the same bed frame - perhaps a little sturdier - with a lower bag of wool and a top bag of feathers substituting the uncomfortable plain straw mattress. This was also covered in plain fabric. During the Renaissance the bed structure was much the same, however the plain fabric used to cover the mattress progressed to being covered in a much better quality slip cover. In the mid 18th century, changes were made. The cover became made of quality linen or cotton, the mattress cane box was shaped or bordered and the fillings available were natural and plenty, including coconut fibre, cotton, wool and horse hair. The mattresses also became tufted or buttoned to hold the fillings and cover together and the edges were stitched. More expensive beds were much the same but with two or more layers of straw, horsehair and feathers were laid onto of each other for extra comfort. These are the types of mattresses that Eric Marr made and reconstructed. Iron and steel replaced the past timber frames in the late 19th century, and better fillings and fabrics were used on the mattresses. Reproduction of these were also manufactured by Eric. In the 1900’s the beds were either as above or divan, which were made of individual springs tied into a timber frame and covered. The mattresses remained much the same. By this time, both Eric and Frank were constructing these types of beds and mattresses. The most expensive beds of 1929 were latex rubber mattresses produced by the very successful “Dunlopillow”. Pocket spring mattresses were also introduced. These were individual springs sewn into linked fabric bags. By 1950, Frank was in control of his own company and was producing innerspring divan bases that were wire units fixed onto timber frames. The mattresses were also innerspring units that were upholstered and tape-edged with a machine. Before this time, all the work was done by hand except the sewing of the cases. Spring and foam become major components in the 1960’s, and Frank replaced the previous natural fibres with these. The 1970’s saw the invention of the waterbed and the take over of foam: the majority of beds were made with this material. Springs, however, still remained popular yet expensive. In this period, both Geoff and Frank were working on such beds. Mechanisation increased greatly in the 1980’s and mattresses and bases were constructed with the aid of computer production lines. Currently, the Real Mattress & Base Co. produce beds that are made with natural fibres and fabrics such as those that were used in past periods of time. In each mattress are layers of coconut coir, cotton, polyurethane foam, wool and spring units. They are covered in damask or a cotton herringbone twill cover. Their bases have pine timber frames, coconut coir, cotton, dense cardboard side panels, foam, wool, and hessian, and are also covered in either damask or cotton covers. Because the Real Mattress & Base Co. frequently reconstruct antique beds, they are capable of producing mattresses with cut-out corners to cater for four poster beds or ensembles to fit existing head and footboards.